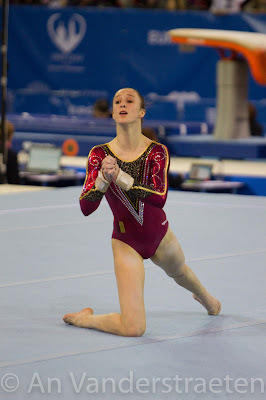 Today, Nina Derwael and Julie Meyers competed in qualifications in Cluj. Nina Derwael qualified for two individual finals! They started on floor exercise, an event on which our gymnasts always show a lot of expressivness. Julie Meyers was first to go and started off well, performing a double tuck, a two and a half twist and a fronthandspring to full twist (11.833). Nina slipped on her first pass, a two and a half twist, and had to put her knee down. She finished strong with a double tuck (12.300). On vault, they both performed a full twisting Yurchenko, with a hop on the landing. Julie scored 13.500, while Nina received 13.466. Moving on to bars, Julie Meyers unfortunately fell on her shaposhnikova with half turn. 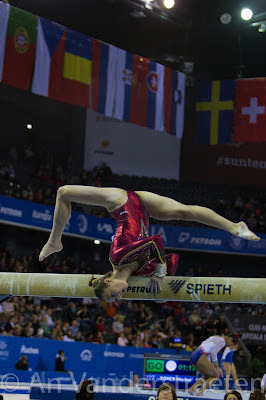 She then performed a high Tkatchev and a full twisting double back dismount (11.466). 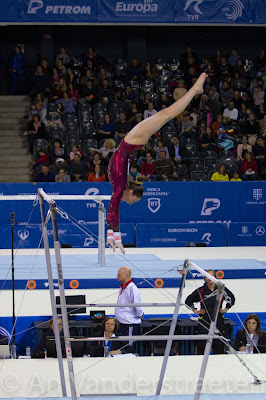 As Nina told in her interview to FfG, her main goal was to qualify for the uneven bars final. And she did it with an amazing set! 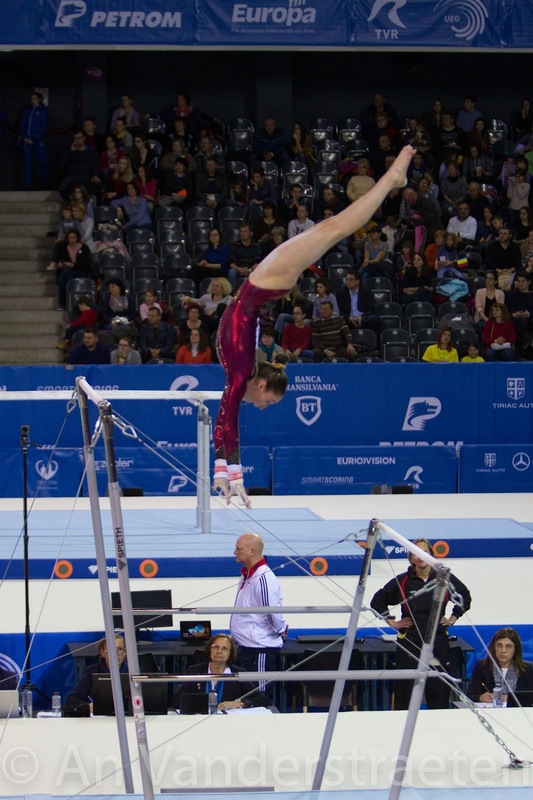 She performed a piked Tkatchev, a Ricna half to Ezhova, a shaposhnikova to pak salto and a full twisting double back dismount to score 14.566. With that score, she qualified for the final in 1st place, tied with Elisabeth Seitz (Germany). On beam, Julie Meyers had a tough time, falling off twice. Her foot slipped on one of her leaps and she then fell on her acro series. She got 8.933. Nina Derwael had a couple of wobbles and missed some connections. She received 12.133. With a total score of 52.465, Nina Derwael qualified for the all-around final in 13th place. Unfortunately, it won't do it for Julie Meyers (45.732). Nina will compete in the all-around final tomorrow at 4pm (Belgian time) and in the uneven bars final on Saturday at 12:30 (Belgian time).